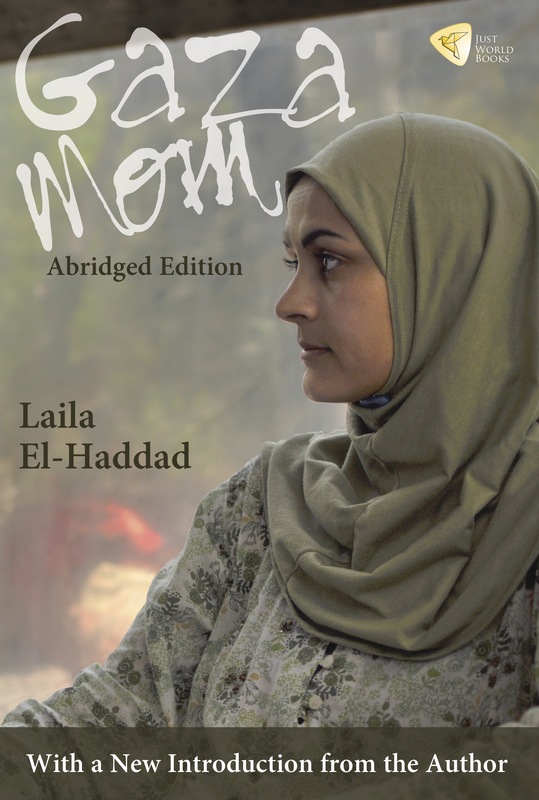 In this new, abridged edition of Gaza Mom, Laila El-Haddad takes us into the life and world of a busy Palestinian journalist who is both covering the story of Gaza and living it—very intensely. This book is El-Haddad’s self-curated choice of the best of her writings from December 2004 through July 2010, edited to a shorter length than the original edition and contains a new introduction by the author. She was in Gaza City in 2005, watching hopefully as the Israelis prepared their withdrawal from the Gaza Strip. She covered the January 2006 Palestinian elections—judged ‘free and fair’ by all international monitors. But then, she watched aghast as the Israeli government, backed by the Bush administration, moved in to punish Gaza’s 1.5 million people for the way they had voted by throwing a tough siege around the Strip. Tensions escalated between Israel’s U.S.-backed military and the forces loyal to Gaza’s elected Hamas leadership, till the point when Israel launched a three-week all-out attack against Gaza in late 2008. During that war, El-Haddad kept in close touch with her parents, trapped in their home in midtown Gaza City. El-Haddad was not only covering Gaza’s situation as a journalist and correspondent. She was also living them, including by trying to explain the ongoing events to her own young children. Her husband, U.S.-trained physician Yassine Daoud, is also a Palestinian but one without the (Israeli-administered) right to reside in or even enter Gaza. In 2006, El-Haddad left Gaza to be with Daoud in the U.S., but her beloved parents stayed behind. In the book she recounts the angst of a person stranded outside her homeland when it was came under intense Israeli assault at the turn of the year 2008-2009—though she was also able to publish and amplify the experiences of her parents as they cowered in central Gaza City under Israel’s harsh, 22-day bombardment. In Gaza Mom, El-Haddad shares many intimate details of her life as a parent. We watch her young children growing up throughout the text. She also tells us about her life as a journalist and a media activist, including her involvement in the many new Palestinian-rights initiatives that emerged after Israel’s late-2008 attack on Gaza. The new introduction provides unique insights, offering El-Haddad’s perspective on those pivotal events years later. The following review by M.J. Corey was originally published in make/shift: feminisms in motion, issue 10 fall/winter 2011/2012. 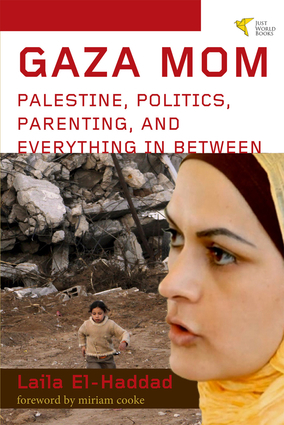 Gaza Mom is essentially a compilation of Laila El-Haddad’s blog posts about, as the title touts, “Palestine, parenting, and everything in between.” A Palestinian mother and journalist, El-Haddad is based in the United States but her work and extended family required her to return to Gaza frequently during the time covered in the book. Once she arrived, she often ended up stuck for several months because of the travel restrictions imposed by the Israeli government. The most efficient way to keep her husband, Yassin, a physician, posted on how their bright-eyed children were doing was to create a blog, Raising Yousuf. Written by a heart-wrenched mother, Gaza Mom is nevertheless matter-of-fact and more than occasionally bitterly funny. The tales of El-Haddad’s day-to-day sufferings as a resident in a conflict-laden area are tough. In 2005, writing from Gaza City, she muses, “You know things ain’t right when a child has become so accustomed to warplanes that he confuses them with birds.” Sometimes there are sonic booms that shake the house. Neighborhood children are shot in the face. Besides the horrors of war and the joys of parenting, El-Haddad also talks about her struggle to maintain a life as an independent woman within a culture that can often be restrictive. While conducting serious phone interviews with hot-button political figures, she’s breastfeeding her child or cleaning up a mess. When she touches on this juggling act in her writing, she conveys an impressive sense of ease, but also reveals, naturally, some pride in all that she has managed. El-Haddad’s sweet anecdotes about parenting are enjoyable to read. The firsthand accounts of life in a city under siege, with a rapidly growing population and seemingly endless tensions, are gripping. This book directly points at the self-destructiveness of any kind of war. El-Haddad’s stories cut past bias and plainly show how stupid and brutal it really is out there. As I write this, I have never met Laila al-Haddad, but yet I have known her for years – first through her blog Raising Yousef, her journalism, and by her handle @Gazamom on Twitter. It was through Laila’s pioneering blog that I made my first “visits” to Gaza — a place I have never physically been precisely because of the situation she describes. 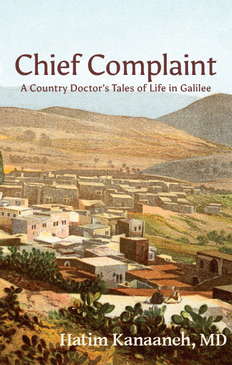 The journey she chronicles in this book is intensely personal, and yet it is one Palestinians, exiles and wandering souls all over the world will recognize. The realities of life in Gaza are hard. But Laila’s razor-sharp observations, tenderness, and humor make her throughout this book—a wonderful traveling companion. It’s a journey I highly recommend. Laila El-Haddad writes with passion and uncompromising honesty revealing a personal narrative that encapsulates a collective Palestinian experience. Making no pretense at objectivity, Laila challenges the limits of the genre to create for the reader an experience of total immersion beyond his/her comfort zone and shattering the complacency of simply “not knowing.” Occupation and exile, siege and incursions, oppression and dehumanization, the tragedy of the Palestinian experience unfolds in the fullness of its human expression through Laila’s intense and captivating revelations. Her sense of self and identity, sometimes presented with critical distance and irony, remains the dominant vehicle of expression in the multiplicity of Laila’s roles as mother, daughter, wife, journalist, blogger, activist—or simply a Gazan Palestinian grappling with her plight as with the fate of her nation. Through the pulse of the people in a besieged ghetto, and through her voice as a young Palestinian woman navigating the delicate trenches of motherhood, Laila El-Haddad’s writing illuminates Gaza’s inextinguishable culture of struggle and determination for a better world. Her assessment of the personal and collective impacts of Israel’s occupation policy – from trudging through the endless bureaucratic labyrinths of identification papers and travel restrictions, to her everyday conversations with people picking up the pieces of their lives after a bombing -and the piercing analysis of her own personal journey has created a text not often found in current literature on Palestine. It is exactly the kind of documentation that is needed in these times of dehumanization of the Palestinian people. vividly illuminating the cruelties of everyday life for Palestinians living under occupation for decades. Laila El-Haddad writes with disciplined passion and conveys a powerful sense of authenticity. This book should become required reading for Americans who have yet to comprehend the prison camp conditions that prevail in Gaza. As far as I am concerned, should be required reading in every classroom in America. 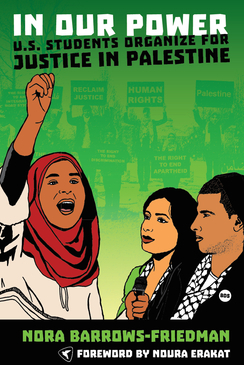 Through her personal journey over a six-year period beginning in 2004, Laila El-Haddad opens a crucial and much needed window into the life of her people, into a daily reality that has to be lived defensively, whether in Gaza, Cairo, or the United States. She helps us navigate and experience a world far beyond our own and unknown to us, of what it means to own “a passport that allows no passage.” Perhaps most critically, this book does what few do: it allows us to understand Palestinians as we understand ourselves and in so doing affirms our common humanity. An extraordinary, eloquent work. Americans are often blissfully unaware of the human impact of U.S. foreign policy, because we rarely listen to the voices of those who must live with those consequences on a daily basis. Nowhere is this more evident than in American perceptions of the Palestinians, whose cruel treatment continues to be ignored or dismissed in the so-called Land of the Free. We treat them as abstractions, rather than as human beings with children, parents, husbands, or wives, bound together by enduring dreams and many disappointments. Laila El-Haddad’s brings the realities of Palestinian existence to life with wit, anger, passion, love, and most of all keen eye for the cruel absurdities of life under occupation. Read it, reflect, and reconsider.